On the cover of every magazine and the big screen, we’re surrounded by bright, beautiful smiles that may seem completely unobtainable. But when you partner with Sachse Family Dentistry, your own celebrity smile is closer than you may think. 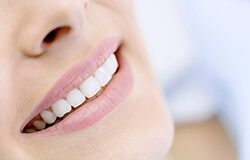 Our skilled dentist and team offer a wide array of cosmetic dentistry solutions that give our patients the picture-perfect smiles they deserve. Call to schedule your cosmetic dentistry consultation today. During your consultation, we’ll examine your smile, discuss your goals, and walk you through your treatment options to help you create a flawless smile. Our Sachse office is easily accessible for patients from Murphy, Wylie, and other communities. Veneers are one of the most popular cosmetic dentistry services we offer. These thin sheaths of dental-grade porcelain are placed over the front-facing surfaces of teeth in order to conceal smile flaws. These high quality veneers can be used to correct any number of cosmetic irregularities including chips, cracks, stains, and gaps in teeth. Porcelain veneers are sometimes referred to as instant orthodontics. While they don’t actually straighten or realign teeth, they give your smile a flawlessly aligned appearance. The process for veneers is simple. You’ll need to visit Dr. Rottman two times. During the first appointment, we prepare the teeth by removing a small amount of surface enamel. That makes it possible for the veneer to lay flush within the natural smile line. Then, we capture bite impressions that will be used by our dental lab to craft a custom veneer. Finally, we’ll place a temporary to protect the prepared teeth. When we receive the final veneer from the lab, you’ll need to return to exchange the temporary for a custom veneer. Lumineers are a specific brand of porcelain veneer that are uniquely crafted to be ultra-thin, so you see the same dramatic transformations possible with porcelain veneers without removing surface tooth enamel, making Lumineers a more conservative solution. The treatment still requires two visits. During the initial appointment, we capture bite impressions for the lab, but we don’t need to remove any tooth enamel or place a temporary. When we receive the Lumineer from our lab, you will return to the office for us to bond each veneer into position, leaving you with a flawless smile. All-ceramic restorations offer a cosmetically superior restorative solution for patients with dental damage or decay. They can also be used to correct purely cosmetic flaws. These metal-free restorations are perfect for repairing dental wear, filling gaps in smiles, or concealing severe cosmetic imperfections. And for patients who suffer from metal allergies or sensitivity, all-ceramic fillings are the safest option. The dental crown process is completed over the course of two appointments. During the first visit, we’ll prepare the tooth, capture bite impressions, and place a temporary crown. Then, we send the impressions to our dental lab where a custom, all-ceramic crown is crafted. Once we receive the final restoration, patients return to our practice where we’ll exchange their temporary for a flawless ceramic crown. Direct bonding allows us to correct cosmetic flaws like chips, cracks, and gaps in just one appointment at our office. For some patients, direct bonding offers a same day, cost effective alternative to porcelain veneers or Lumineers. The treatment is completed by using the composite resin material used to create tooth colored fillings. We apply the resin directly to the surface of teeth, shape it to correct or conceal cosmetic irregularities, and use a curing light to harden the resin into position. Many patients want brighter smiles, and teeth whitening is one of the easiest cosmetic dentistry services we offer. If you’ve invested time and money trying over the counter teeth whitening products, you may think that there’s no way to brighten your smile. However, professional teeth whitening solutions provide predictable smile brightening results - up to ten shades whiter in some cases. We offer both in-office and at-home whitening treatments. Our in-office whitening takes about an hour and delivers brilliantly white smiles. But if you prefer to brighten your smile gradually or have sensitive teeth, our at-home whitening kits may be a better option. Over the course of two weeks of daily application, at-home whitening provides the same results possible with in-office whitening. You can also use at-home whitening kits to touch up the results of your in-office treatments.